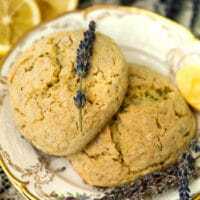 These lavender lemon scones are fluffy, crumbly, divinely flavored and perfect for a Sunday brunch or cozy tea time. The honey butter also adds such a silky, creamy sweetness to this lovely morning pastry. My husband and I have started an Air B&B and I’ve been thinking of the best ways to treat our guests to make them feel more at home. I think I’m going to start leaving these scones for our guests with honey butter in the fridge. 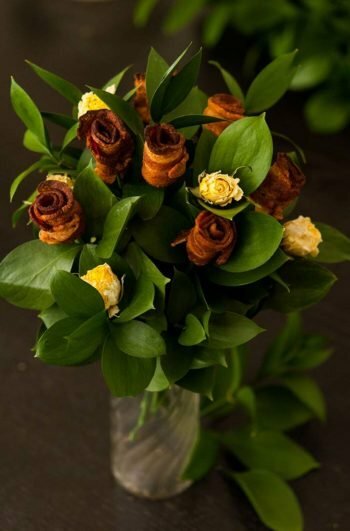 I’m going to put them in a little basket, wrapped in a pretty vintage napkin, tied with string. I’m also going to add a little fresh lavender to the basket too. I hope it makes them feel welcome. It’s as simple as…well, honey butter! It’s nothing but butter and honey. Simply take a stick of butter, let it soften and mix it with a teaspoon of honey. Thats all there is to it! If you want to mold your honey butter in pretty shapes like this little heart, it also couldn’t be easier! Simply spoon some of your mixed honey butter into a cookie cutter on a plate, making sure to gently push with a small spoon so there are no air pockets, then place it in the freezer for only 10 minutes. When it’s done, simply use the heat of your hand to warm the cookie cutter for 10 seconds and slide your pretty butter shape right out. You’ll see a lot of lavender lemon scone recipes call for adding the flowers directly to your scone mixture, but I highly suggest chopping your lavender with your sugar in a food processor first. Lavender is such a flavorful spice that I find it’s best to chop it finely so it distributes better throughout the dough. Chopping it with the sugar ensures it really gets chopped thoroughly. Make sure to zest your whole lemons. 2 large ones should do the trick. The more lemony flavor in these scones, the better. Also make sure you use very cold butter, chopped into pieces when you add them to your flour mixture. It’s OK if the butter isn’t entirely mixed in perfectly. This creates little buttery pockets in the scones. When mixing the butter into your flour mixture, chop it in with a knife while it softens a little so it doesn’t get entirely mixed, then, mix with your hands until it’s a perfect crumble, ensuring there are still some small butter pieces still unmixed. Pour your cream, egg, vanilla extract and lemon juice into the center and simply mix with a spoon until a thick dough forms. I find the temperature of my home will really determine the consistency of my dough. If it’s a toasty summer day, it will be very sticky, if it’s colder, it will be more firm. Either way, if you’re hand rolling your scones like I’ve done here, you’ll just want to get your hands nicely covered in flour before your roll the dough into balls. NOTE: If it’s a very toasty day, and your dough is simply too sticky to easily roll into balls, you can add a little more flour to make it more firm. You can add up to 3 more tablespoons of of flour if it’s a little too sticky. You’ll want to make balls that are not quite as big as a baseball, but not as small as a golf ball – somewhere in between. I also pat mine a little flat once I place them on my parchment-lined baking sheet. 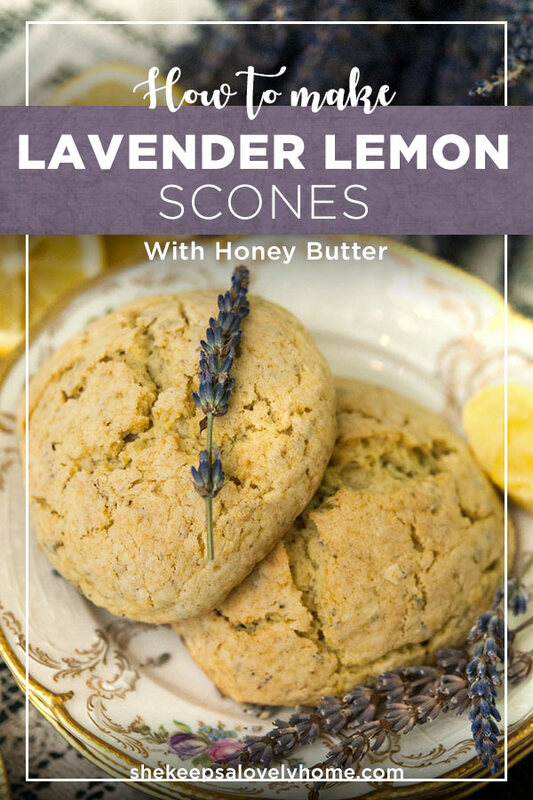 How Long Do Lavender Lemon Scones Last? They’re always best out of the oven, but I find they last up to 2 weeks when kept in an air-tight container in the fridge. Then, all you have to do is reheat them at 375 for about 5 minutes and they’re light, fluffy and toasty again. 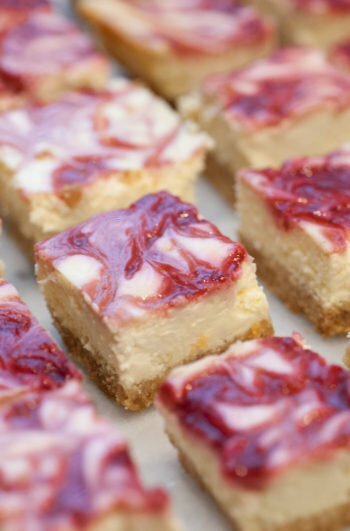 What Else Can You Serve with Scones? Apart from the lovely honey butter, these scones are simply divine with a blue and blackberry jam or English clotted cream – and tea, of course. For more inspiration, follow me on INSTAGRAM @shekeepsalovelyhome, on PINTEREST and FACEBOOK! And if you ever make any of my tasty drinks or treats, take a picture and tag me. I want to see! You'll require a parchment-lined baking sheet, a large mixing bowl, a small mixing bowl and a food processor for this recipe. Preheat oven to 400. Set out a stick of butter (for your honey butter) to soften while you make your scones. Add 2 tbs. of lavender and ⅓ cup sugar to a food processor and grind until lavender is well chopped. About 30-45 seconds. In a mixing bowl, add lavender sugar, 2½ cups of flour, 1 tsp. baking powder, 1 tsp. baking soda, lemon zest (from 2 large lemons) and ½ tsp. salt. Gently mix with a whisk or spoon. Slice butter into small pieces and mix into your dough mixing bowl, gently. You can use a knife to chop it into the mixture, then use your hands to incorporate into a crumbly dough, making sure to leave a few small pieces of unmixed butter, as best you can. Once butter is mixed, pour in your cream, lemon, vanilla and egg mixture. Stir with a wooden spoon until thoroughly mixed. NOTE: If the dough is too loose to easily make balls with your hands once they're covered in flour, add up to 3 more tbs. of flour to the dough to get it to a "ball-able" consistency. Add ¼ cup of flour to a bowl and get your hands nice and floury. Pick up enough dough to make a ball that's not quite as large as a baseball, but not as small as a golf ball. Quickly roll and place on a parchment-lined baking sheet. Repeat with your remaining dough. Beat your other egg, and brush each uncooked scone. Sprinkle each with a little bit of sugar. Bake for 20 minutes. Allow scones to cool for 10-15 minutes before serving. While your scones cook, add your softened butter to a bowl, add a tsp. of honey, mix fully and serve with your scones. I'm just trying to be a little fancier today than I was yesterday. Sipping cocktails, making deviled eggs and throwing fancy little parties in Brooklyn. Copyright 2018 - She Keeps a Lovely Home. All Rights Reserved.